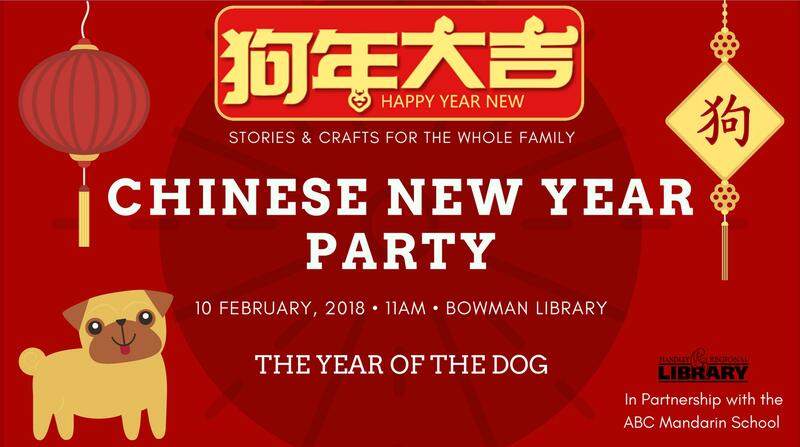 Join us at Bowman Library for a Chinese New Year party this Saturday, February 10th at 11AM as we learn about the traditions and culture of China with our partners, the children and teachers of the ABC Mandarin School. In China, Korea, Vietnam and many other Asian countries, they celebrate Lunar New Year. In China, each year is named after one of the 12 Zodiac animals. 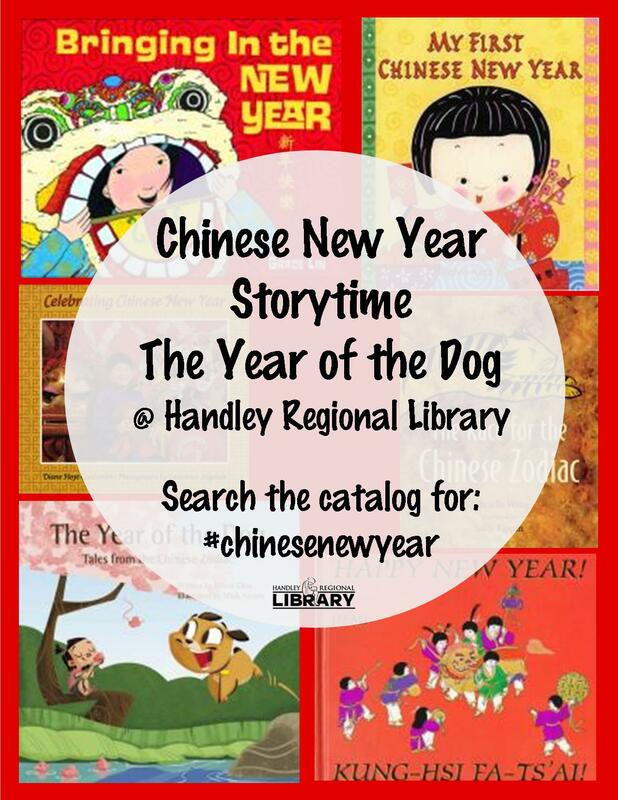 This year we will be celebrating the beginning of the year of the dog with a mask play telling the story of the origin of the Chinese zodiac. The festival will also include crafts, calligraphy, new year bingo, and the opportunity to learn to eat with chopsticks, thanks to a donation from Chinatown Restaurant and Sushi Bar.